Microsoft offers cheaper upgrades and free 15GB storage for everyone. 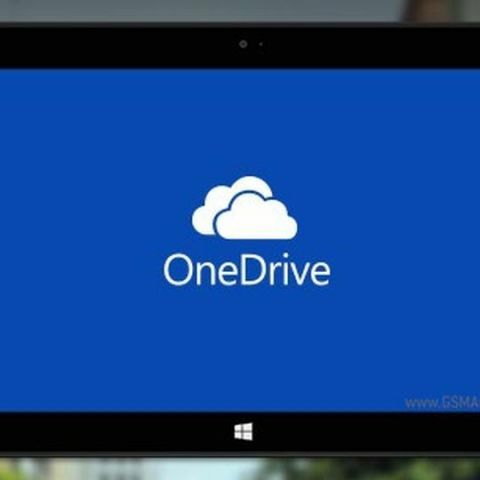 Microsoft has announced several changes to its OneDrive cloud storage services, and is offering 1 TB of storage for all Office 365 subscription plans and will be added to existing Home, Personal and Business subscribers starting in July. The 1TB feature is new for Home, Personal, and University users, but was already available Office 365 Business subscribers. Microsoft has also increased the free storage from 7 GB to 15 GB for all subscribers who don't subscribe to Office 365. Microsoft is also planning to slash its additional storage plans by 70 percent, with new monthly prices starting from $1.99 for 100 GB and $3.99 for 200 GB. This Cloud storage expansion by Microsoft is one of its several recent initiatives that encourage consumers to use its Office platform. Microsoft recently brought its Office suite to the iPad with tablet-friendly versions of Word, Excel, and PowerPoint. It has also introduced new Personal Office 365 subscription plans for individuals as well as a Home plan for families. The new storage plans match what Microsoft's main rival Google has been offering for a while now. Google offers 15 GB free, 100 GB for $1.99 and 1 TB for $9.99. Apple is also expanding its cloud storage services alongside iOS 8 and OS X Yosemite with the launch of iCloud Drive. Apple is offering 5 GB for free for everyone, 20 GB for $0.99/month, and 200 GB for $3.99/month.